Designed to stop threats without the risk of overpenetration. Federal Premium has utilized their patented expanding FMJ bullet technology to create a lethal Home Defense Round that minimizes over-penetration through interior walls. This translates to reduced risk of serious injury to bystanders in other rooms or houses. 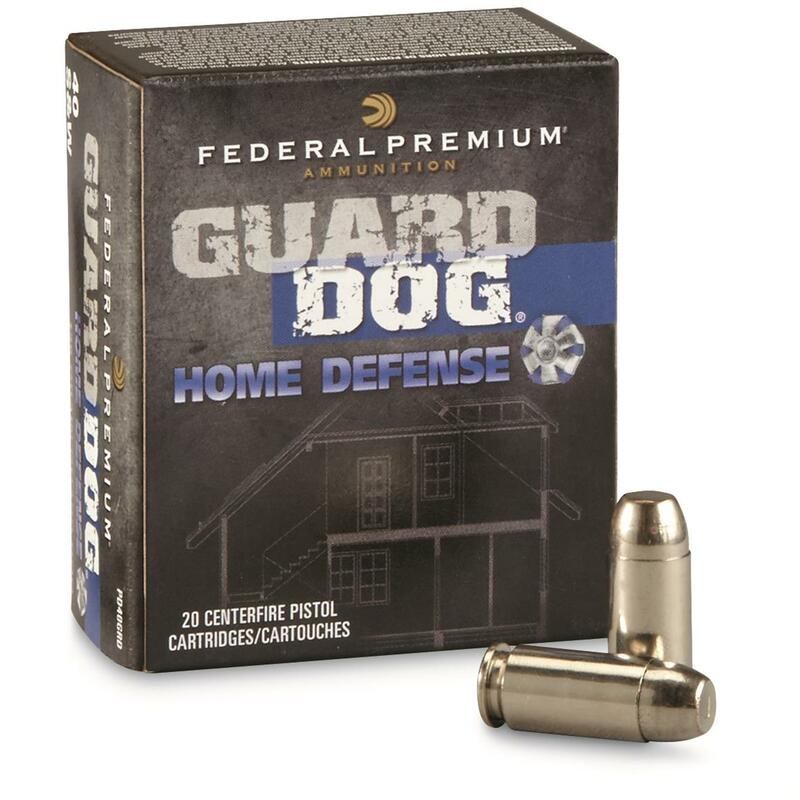 Because Guard Dog® Ammunition expands every time and never fills with barrier material like conventional hollow points do, it's the ideal option for in-home defense. 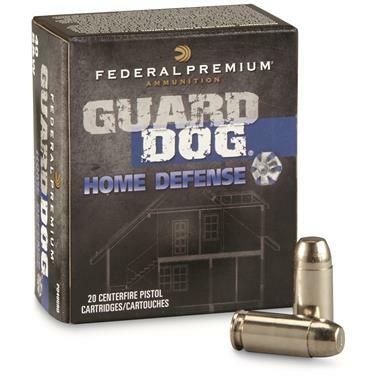 Federal Premium Guard Dog Home Defense, .40 S W, Expanding FMJ, 135 Grain, 20 Rounds is rated 4.3 out of 5 by 6. Rated 5 out of 5 by JAMES L from This is excellent ammo, safe for in home use, since it's guaranteed to only penetrate one layer of sheetrock.